With a population of 20 million, Sri Lanka is a scenic tourist destination for visitors around the globe. Despite the fact that the country has been engaged in a 26-year conflict that ended only recently, Sri Lanka has made significant economic and social progress over the past 30 years. However, young people face an unemployment rate four times higher than the population as a whole, according to 2010 estimates. ​​Phoenix Voyage has identified Sri Lanka to be one example of the eco-efficiency it will introduce to its communities thru its green building, energy systems, food growth systems and community support programs. PV Sri Lanka Development Director, Naomi Dissanayake, has identified Weligalla, 14 km west of Kandy, to be the first PV Resource and Coaching Center in Sri Lanka. With a population of 110,000 in surrounding area, the plan is to create an educational center for instructing team leaders in order to duplicate the PV Centers throughout Sri Lanka. 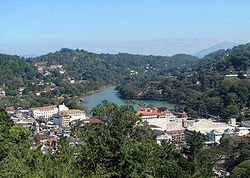 Kandy is one of the most scenic cities in Sri Lanka; it is both an administrative and religious city. It is the second-largest city of the island and the capital of Central Province of Sri Lanka. Many major corporations have large branch offices in Kandy and houses famous international brand outlets such as Apple Inc., Futureworld, Philips, Reebok, Triumph International, Adidas as well as famous Asian and Sri Lankan brand shops. Sri Lanka’s natural resources, i.e. Bamboo can be cultivated for numerous products. Bamboo is known for food, medicine, bio char, energy, homes, homewares, furniture, landscaping, paper pulp. This initiative will create jobs, reduce poverty, build community infrastructure, establish new businesses, improve quality of life and effect systems infrastructure design. ​​1. Low income. 2. Few sources of income . 3. Decreased agricultural activities. 4. Absence of agricultural activities. 5. Presance of few consumption patterns. 6. Emergence of child labourers. 7. Migration of mothers seeking employment in foreign countries 8. Underaged marriages. 9. Corruption and malpractices. 10. High level of malnutrition 11. Non-availability of medicine for treatments 12 Non-availability of clean water during rainy seasons 13. Presence of iron deficiency. 14. Inaccessibility to proper toilet facilities. 15. Problems related to pregnant women. 16. Poor attainment in education. 17. Support the people in animal husbandry. 18. Poor assistance in crop production(agriculture). 19. Unemployment. 20. Kidney diseases 21. Eye diseases. 22. Growth of diarrhoea and worm diseases. 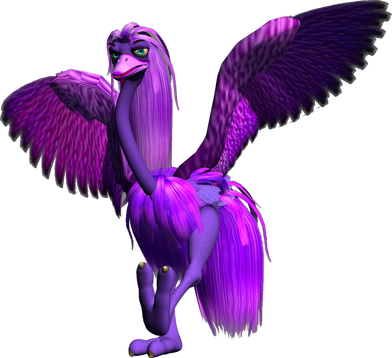 Phoenix Voyage has partnered with the Meuguna Foundation, based in Sri Lanka. Their vision is to empower, enhance and uplift the socio-culture, economical status of the entire Sri Lankan community. Together, we will identify land to create sustainable centers as well as develop and co-create a successful bamboo business which will distribute products for national and international clientele. We are pleased to inform you that in line with the requirements which have to be fulfilled in order to work in collaboration with your organization , we have successfully carried out the following preparatory activities . assistance in a positive manner. 2. Identification of the relevant fields where the projects could be implemented. 3. Selection of the areas /regions for the projects. 4. Identification of the places where the offices are to be set up. 5. Identification of government owned and other lands for the projects. 6. Finding out the necessary human resources for the projects. 7. Identification of the targeted groups benefited by the projects. Therefore, our organization kindly requests from you to implement your projects which will be of immense benefit to the needy people in our country.